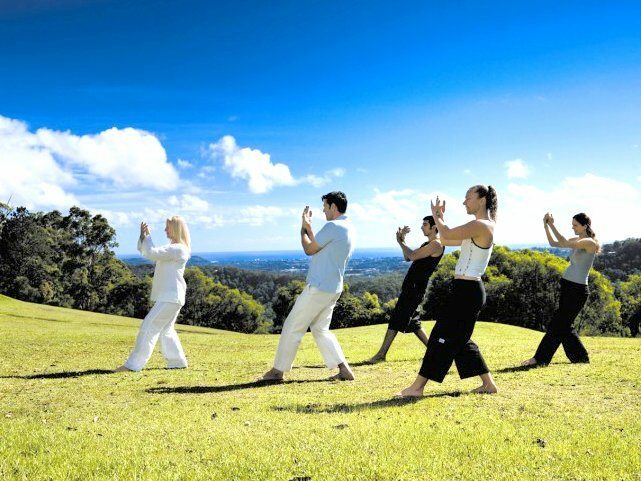 Gwinganna is a favourite among my circle of friends as it is located so close to where we live and definitely is up there in the world health retreat rankings. In fact it is a finalist once again in the World Luxury Spa Awards having won in both 2012 and 2013. It is a place that soothes your soul and certainly does inspire you to live a healthier life. Located in the heart of the Gold Coast Hinterland in Queensland, Gwinganna is surrounded by spectacular scenery, fresh mountain air and coastal views. It is a place you can connect with supportive professionals who will teach you resilience in the modern world. Choose how much or how little you wish to do – explore new activities, nourish your body and nurture your spirit. Gwinganna provides a yin and yang approach to movement. The yin is the more inwardly focused activities such as Yoga, Pilates and Dance. The Yang the more outwardly focused, increasing hear rate and intensity whilst still working around each individual’s limitations or offering challenge where appropriate. Gwinganna has superb facilities; delicious certified organic cuisine, stylish accommodation and its unique Spa Sanctuary Packages are from two to seven days.